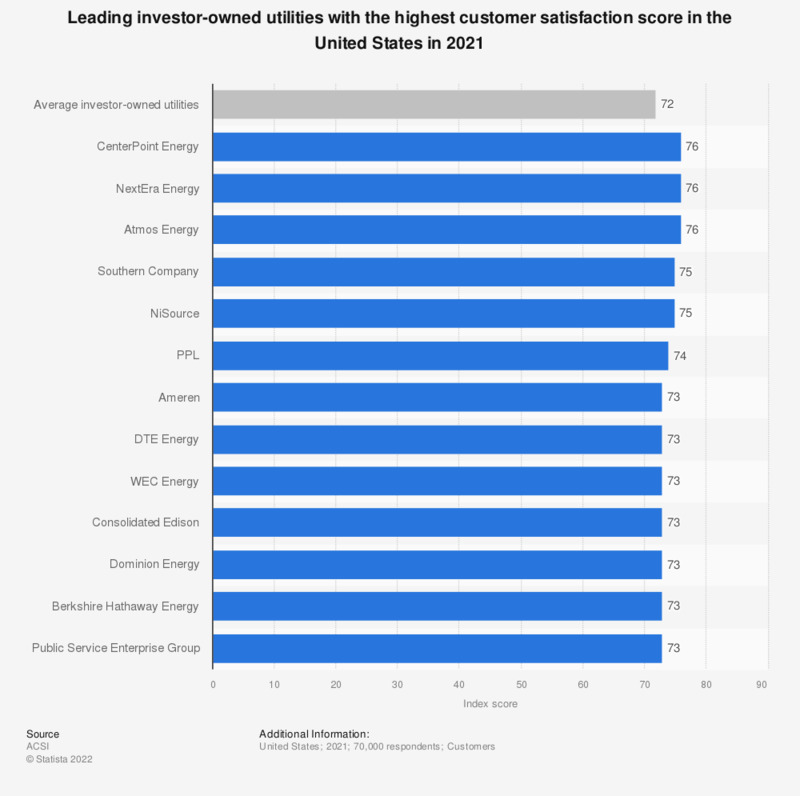 This statistic represents investor-owned utilities which scored highest in the American Customer Satisfaction Index (ACSI) in 2018. The American Customer Satisfaction Index (ACSI) is a national economic indicator of customer evaluations of the quality of products and services using a scale of 0 to 100 and available to household consumers in the United States. With an index score of 80, Atmos Energy was ranked second in 2017. The source does not specify the accurate survey period. Includes only those utilities where data were measured and available.